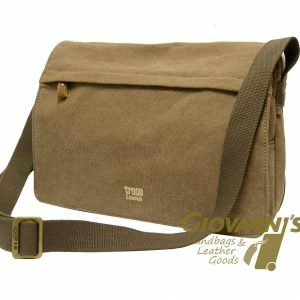 With a very simplistic style, the LC-9901 Gino De Vinci Leather Sling Bag features all the right pockets for handy storage of your everyday needs within its compact closure. 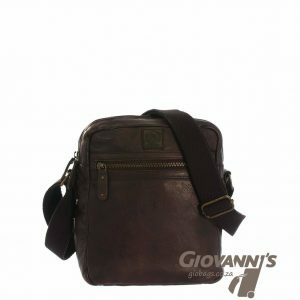 Crafted from original leather to give a long lasting value, it is perfect for when you just need something casual to go along with. 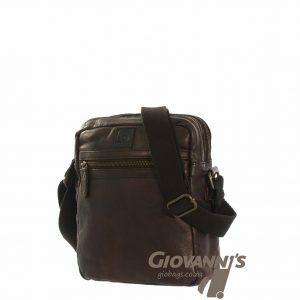 The main compartment is enclosed by a zip and houses a padded pocket that holds your tablet in place with a strap, a slip pocket and pen holders. This unisex crossbody bag also features a zipper-secure front pocket and a rear pocket with magnetic snap closure that can comfortably store your phones, keys, wallets and other small sized items. 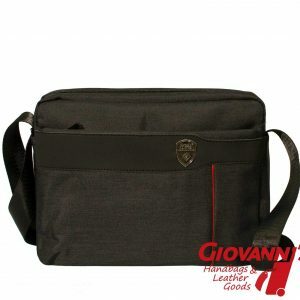 Its adjustable shoulder strap is strongly held in place, and can be used to switch between carrying options; handheld, shoulder bag or a crossbody. 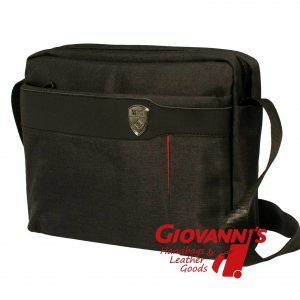 Features: Main zipped compartment with a padded tablet section, slip pocket and pen holders; front zip pocket big enough to fit your phone, keys, wallet and other small items; rear pocket with magnetic snap closure; and adjustable shoulder strap. Spacious: Beyond its seemingly portable looks, this unisex bag expands quite well to hold a number of light apparels, books and handheld devices. While still maintaining its pattern, this makes it a quick choice for a sleep over or very short travel plans. Versatile: Suitable for work, school, travel, business, shopping etc. Feel comfortable sling’in it over your shoulder! Never out of Style: This unisex crossbody bag only gets trendier with every transition!